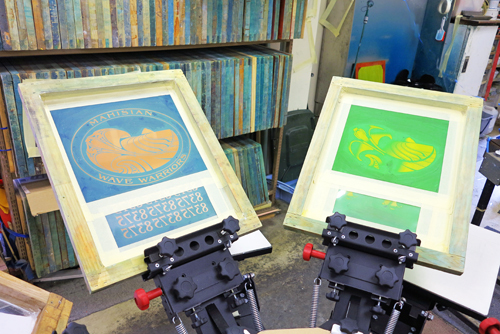 We offer award winning, quality screenprinting on a wide range of textile surfaces. Our in-house art department specialise in managing the design process to create a screenprinting design tailored to individual customer requirements. Once the design is approved, our designers do a superb job of reproducing the design as a high quality print for our screenprinters to transfer onto your choice of garment. Our team members are skilled and experienced in a variety of screenprinting methods, and will advise on the most appropriate method according to the type of textile to be printed.